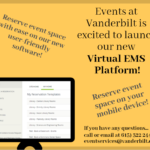 VUPrint, Vanderbilt’s pay-for-print service, is designed to provide convenient, cost-effective and sustainable public access printing to students, faculty, staff and eligible guests at a variety of locations across campus. Go to VUPrint Website to download the driver for the printers. Upon downloading a Windows and/or Apple printer driver package, users with a VUnetID can also initiate a print job from their computer by choosing a printer queue (location), entering their VUnetID and password, approving the charges displayed and, finally, picking the job up from the selected printer.